Hello Sunshine! Let me welcome you to a world where beautiful skin glows with health and radiance. Thanks to the newly launched Herbalife Skin range, I get to enjoy more make-up free days without having to worry that I look like a drag! With a promise to deliver visible results in just 7 days, you better be all ears too. The advanced Herbalife Skin range, from 1-8. 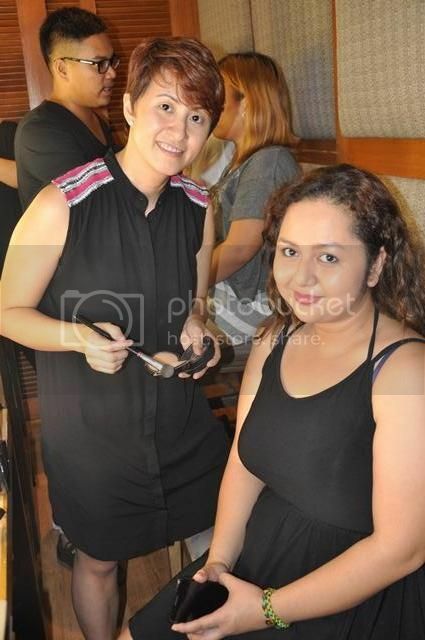 Super bango, super pampering! Herbalife Skin may look like a tedious skincare range, but thanks to it's numerical labelled bottles, I had no worries! I knew each step to take to get superb skin, every day! 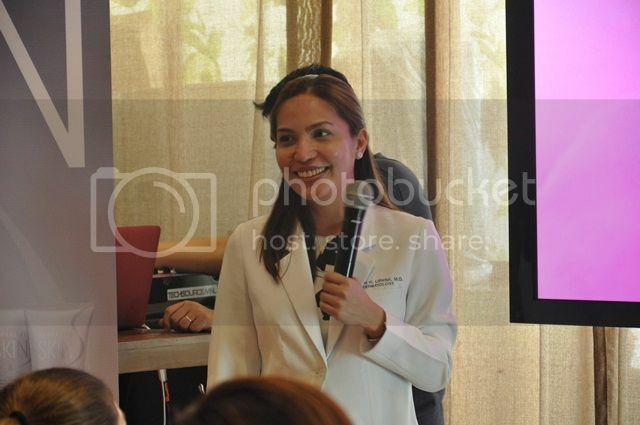 Last July 26, Filipina Beauty bloggers and beauty lovers from our Herbalife family, at Aracama, The Fort. It was a really cool afternoon which started with scrumptious lunch, and ended with lots of beauty lessons! We learned more about Herbalife as a global brand (that cares for communities too). Even more, we got expert beauty tips for caring and understanding the skin (and how we can grow with it gracefully). 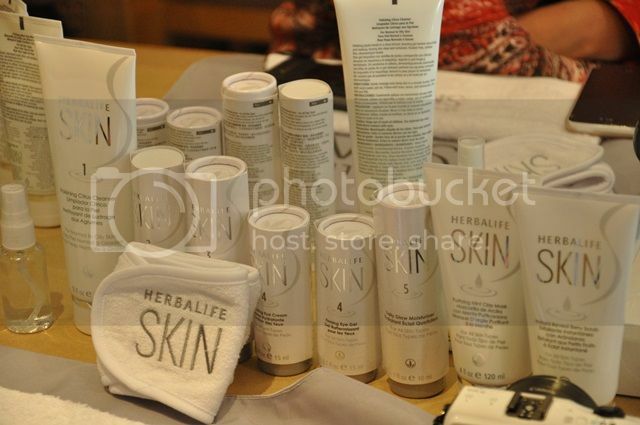 I even got first-hand experience right then and there as I volunteered to experience Herbalife Skin at the event. I was super surprised, because I was wearing super taray eyeliner but it was removed easily by the Polishing Citrus Cleanser--without eye makeup remover! After trying out the products, I got the taste of sweet expert makeup artistry c/o MAC makeup artists--very natural lang! 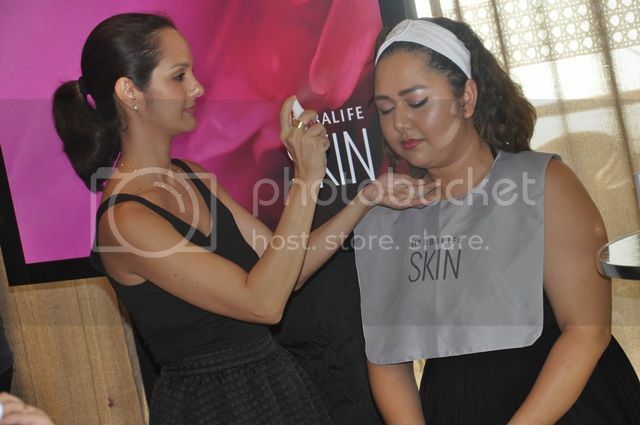 Even with 5 layers of Herbalife Skin on my face, it felt complete light under makeup. The Beauty Blogger Herbalife Skin class of 2014 after we were prettified. Herbalife Skin boasts of potent natural active ingredients, a great pampering and sensual experience, and results in just 7 days! Stay tuned as I have really cool tidbits after using the product since the launch. If you have normal to oily skin, you will love my Herbalife skincare updates. Coming soon on this blog! Herbalife Skin is part of Herbalife's outer nutrition range of products for a healthy and beautiful appearance. Learn more about Herbalife products online. I also reviewed Herbalife Aqua haircare on this beauty review. For more Herbalife reviews, visit this link; or this for my Herbalife Skin full review.